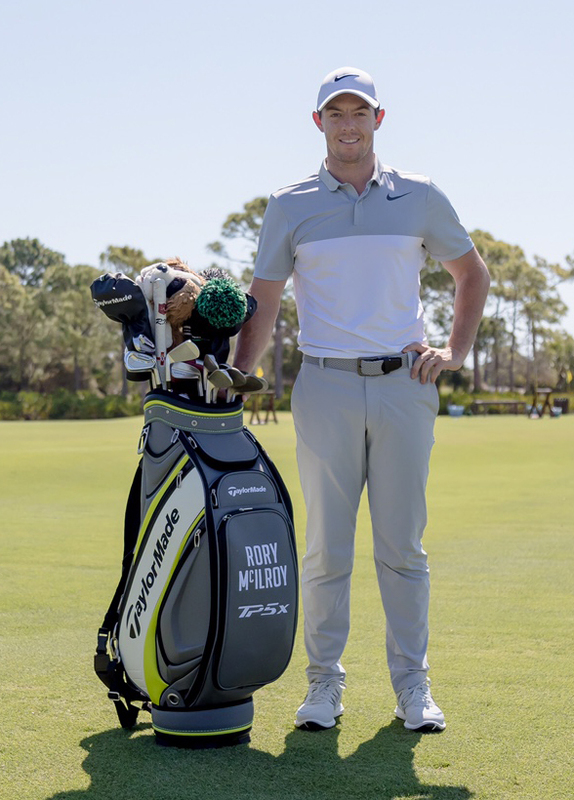 TaylorMade Golf Company announced today that four-time major champion and two-time PGA TOUR Player of the Year, Rory McIlroy, has chosen to sign a long-term agreement with TaylorMade after testing with nearly every major club manufacturer. 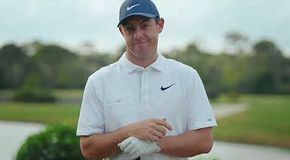 With his new full bag plus golf ball deal, McIlroy joins a Tour staff that now includes the top three players in the world and 6 in the top 12 of the OWGR. 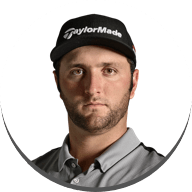 The signing of the 28 year-old Northern Irishman is yet another decisive move by the company that reaffirms its commitment to fielding the strongest Tour staff in the industry and putting the highest performing equipment in the hands of the best players in the world. 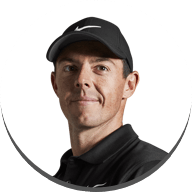 McIlroy joins Team TaylorMade with an impressive CV of accomplishments that already puts him in an elite class of golfers and rivals any active player on Tour. 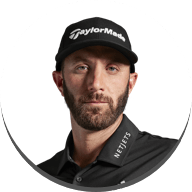 As one of the most tenacious, performance-driven players the game has ever seen, the 13-time PGA TOUR & 13-time European Tour winner is looking to reclaim his position as the #1 player in the world with an arsenal of new TaylorMade products in the bag as he embarks on the next stage of his career in pursuit of his fifth major championship and beyond. 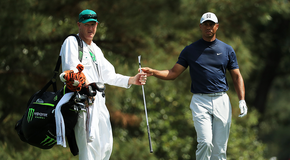 “My future rests firmly in my hands – that’s why I choose TaylorMade. I've been around the game long enough and have tested most clubs on the market, but I have never been as excited about equipment as I am right now." In the summer of 2016, McIlroy stated that he intended to spend a full year playing and testing product from nearly every major manufacturer, but commented at the Barclays that if he came across a product that he liked and was comfortable with, he’d accelerate his decision and consider signing a long-term deal. 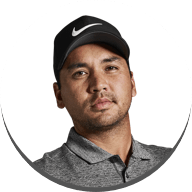 His decision became clear after experiencing the performance of TaylorMade and realising the noticeable benefits over the equipment he was previously playing. Critical to McIlroy’s decision was the performance of his golf ball, particularly in windy conditions. In the past, Rory has had to decide between playing a ball with good iron performance at the expense of greenside control and more recently, a ball that offered control around the green but didn’t have the trajectory and distance he was looking for with his irons. Knowing what his previous ball was capable of doing for every shot he hits, Rory tested the new ’17 TP5x golf ball and instantly realised an improved trajectory that will give him better, more consistent iron performance, especially into the wind. It was after testing with TaylorMade that McIlroy’s commitment to play TP5x materialised almost immediately. 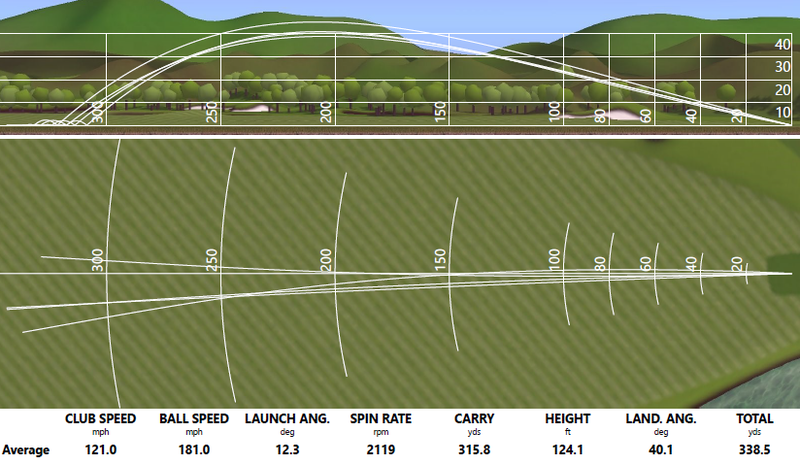 Rory’s length off the tee is one of the strongest parts of his game, so the optimisation of a driver for him in testing was very important. A variety of driver heads, lofts, shafts, swingweights and adjustability settings were all tested, with McIlroy keen on finding his optimal setup. In the end, the team landed on a 9.5* ’17 M2 driver (more specs below in WITB section). 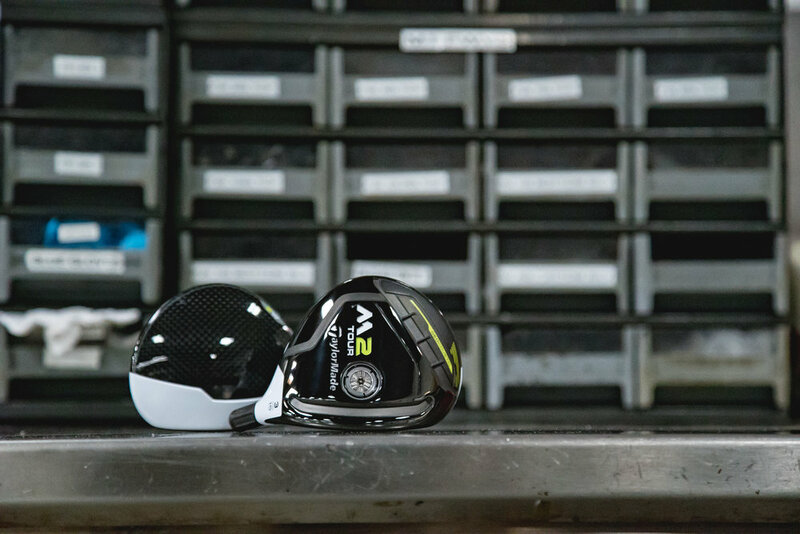 Similar to driver testing, Rory took the opportunity to test multiple heads in both the ’17 M1 and M2 fairways, which included different loft configurations, weight settings and shafts. It was critical to fit McIlroy into a fairway that, per his preference, could be used both for positioning off the tee and going after par-5s in two. 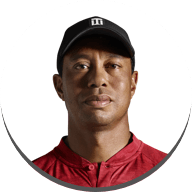 His desire for the M2 Tour fairways was evident at the Masters, where he had two of them in the bag and commented how easy they were to turn over compared to his previous product. In testing, his sentiment echoed those statements, as he was elated about the versatility and turf interaction they provide him. 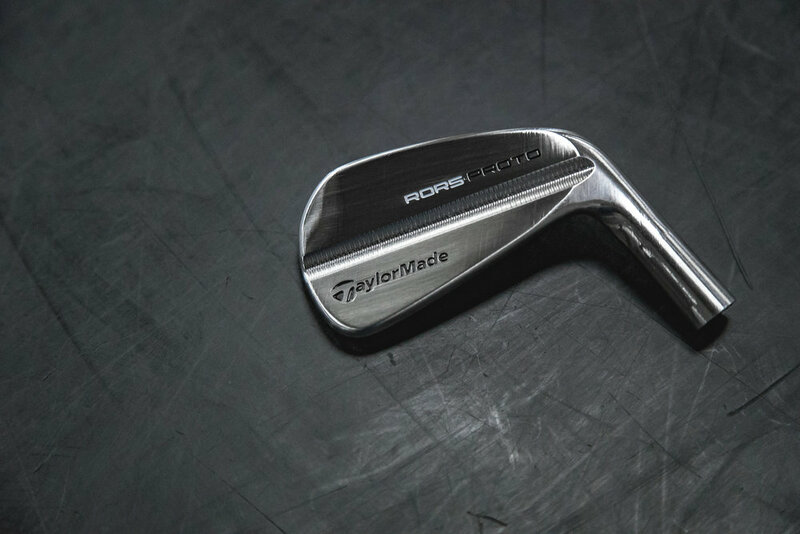 Rory has played muscle-back irons throughout his career and worked closely with TaylorMade’s R&D team in testing a new prototype the iron team in Carlsbad has been developing. 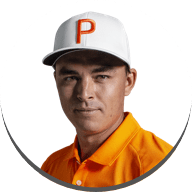 Characterised by a shorter blade length, reduced offset and revised shaping, the “Rors Proto” iron has not only exceeded McIlroy’s performance expectations but also aesthetically suits his eyes perfectly, too. In addition to his new irons, he's opted to play the 3 & 4 irons of the P750 Tour Proto. 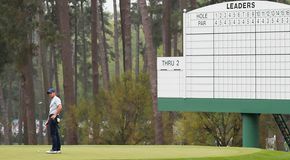 It’s no secret that McIlroy can overpower golf courses with his length; it’s this length that will leave him with more wedges into par-4s than the average tour player, so finding the optimal wedges & grinds to hit all the shots he needs is important. After a thorough process, McIlroy will eventually play the Milled Grind wedges that will be machine milled to his personal specification. 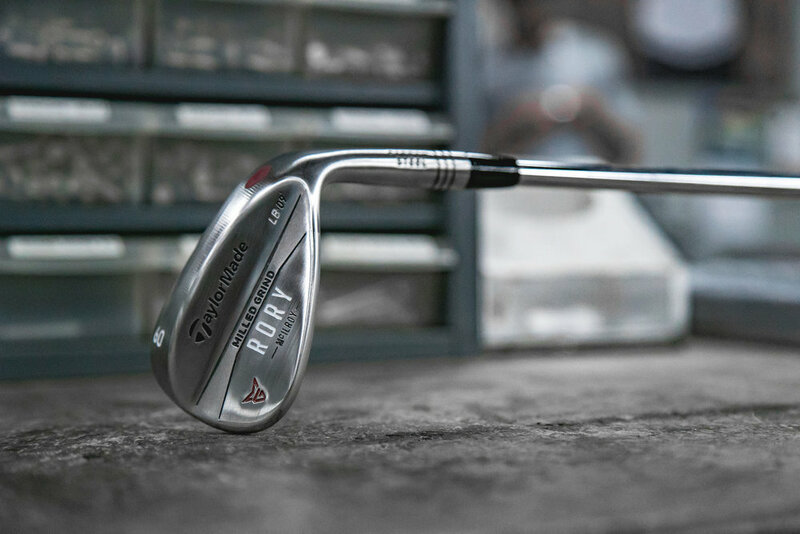 The result – a competitive advantage over the competition with wedges engineered for unparalleled accuracy, optimal turf interaction and consistent performance. Over the coming weeks, TaylorMade’s Tour and product teams will be working closely with McIlroy to find a model that is optimal for him.